The measures taken by software companies to guarantee the quality and success of a localized app. With practical tasks, suggestions for further reading and concise chapter summaries, Localizing Apps takes a comprehensive look at the transformation processes and tools used by the software industry today. This text is essential reading for students, researchers and translators working in the area of translation and creative digital media. 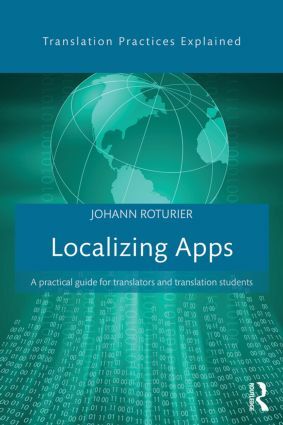 “Localizing apps fills an existing void and represents an outstanding addition to current literature examining the intersection of translation and technology. Miguel Jiménez-Crespo, Rutgers, The State University of New Jersey, USA"
Johann Roturier works as a senior principal research engineer in Symantec Research Labs. He worked for ten years in the localization industry, where he held various positions ranging from freelance translator and linguistic quality assurance tester to researcher and open-source project manager.